The increased adoption of portable ultrasound has transformed critical care by helping physicians make precise bedside diagnoses in critically ill patients. Safe, accurate, non-invasive, and affordable, point-of care-ultrasound is gaining popularity over other imaging modalities (like X-ray) as it does not expose patients to ionizing radiations. Since it is difficult to move unstable/subconscious patients with mechanical ventilation and other specialized intensive support to other areas of the hospitals (for ultrasound/MRI/CT imaging), it is imperative to have ultrasound systems available for quick bedside evaluation in ICU patients. Portable color doppler ultrasound can be used for varied clinical applications like identifying cardiac status, pulmonary function, pleural assessment, and locating deep vein thrombosis in critically ill patients in the ICU/CCU. Compact ultrasound systems can also be utilized for procedural guidance like CVC/PICC line placement, fluid drainage (paracentesis, thoracentesis, pericardial effusion, hemothorax), and for dynamic tracheal tube placement. 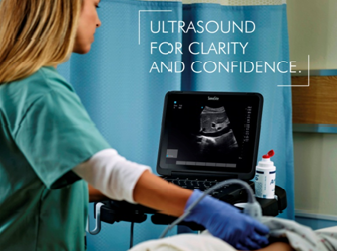 The FUJIFILM SonoSite Edge II system offers exceptional image quality, compact design, and rapid boot-up time. It features Direct Clear technology, which elevates its performance by increasing penetration and contrast resolution. Clearer imaging can save time in critical care diagnoses. The EDGE II console resists fluid ingress, making it easier to disinfect (crucial in hospital settings). Both the system & standard transducers can withstand a 3-foot drop and are backed by comprehensive 5-year warranties. 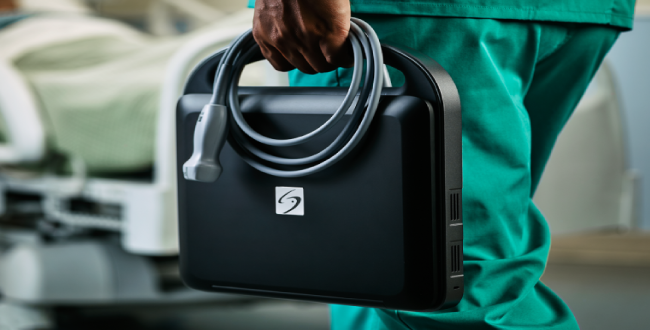 The EDGE II Ultrasound system has user-friendly interface, and is designed specifically for physicians who don’t specialize in radiology. The purchase of a SonoSite ultrasound system includes exclusive access to the SonoSite Institute, an online ultrasound education portal.